With the 2018 World Series of Poker just about to get underway, the WSOP Main Event qualifiers are really heating up at 888 Poker. 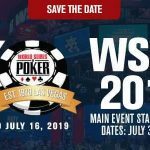 If you have not yet bagged your seat on a plane to Vegas, the site is offering plenty more opportunities to win a WSOP Main Event package, with qualifying routes starting at just $0.01. The 49th Annual World Series of Poker gets underway tomorrow with the traditional opening event – the Casino Employees NL Hold´em Championship. From Thursday onwards, thousands of players will be walking through the hallowed lobby of the Rio All-Suite Hotel & Casino with dreams of becoming the next Chris Moneymaker, Jonathan Duhamel or Martin Jacobsen. Despite the WSOP schedule being packed full of potentially valuable tournaments, there is only one tournament everybody really cares about – the WSOP Main Event. This year the feature event starts on Monday 2nd July – giving players hoping to win their seat via an online qualifier little more than a couple of weeks to secure one of the last remaining packages. 888 Poker has been running WSOP Main Event qualifiers since January; but, up until recently, the list of package winners in the “Live Events” lobby was pretty sparse. This has all changed in the past few weeks, with not only the qualifiers offering $12,600 packages being hotly contested, but also the satellites and sub-satellites feeding into them – all the way down to the $0.01 buy-in events. It is no surprise the qualifiers are popular. 888 Poker´s WSOP packages include the Main Event buy-in, five nights´ accommodation at the Vdara Hotel, $1,050 towards travel and expenses, transport from the hotel to the Rio and a players party. Anybody who has visited Las Vegas during WSOP season will already know how difficult it is to find decent accommodation at a reasonable price! Another reason why 888 Poker´s qualifiers are popular is because you can satellite into them from as little as $0.01 via a “Live Events & Major Tournaments” Steps program. 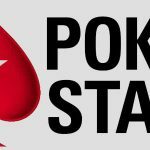 Unlike Steps programs at some other online poker sites, you can take their prizes from early Steps levels and use them to enter online tournaments with buy-ins from as little as $0.10. As there is no requirement to play in the next Steps stage or see the Steps program through to its conclusion, the Steps program is popular at all levels. However, if you do see the Steps program through to its conclusion, the top prize is a $1,050 tournament ticket to play in a WSOP Main Event Package Qualifier – the next one being scheduled for Sunday at 8:30pm (BST). 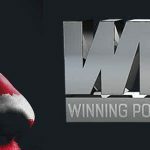 Although the WSOP Main Event Steps program can be bought into at any level, if you do not fancy battling your way through six levels and a final qualifier, there are several shortcuts you can take to WSOP Main Event glory. These are based around 888 Poker´s other sub-satellites feeding into the WSOP Main Event qualifier and other “Major Tournament” qualifiers. For example, the WSOP Main Event qualifier has satellites feeding into it with a buy-in of $109.00, and sub-satellites feeding into the $109.00 satellites with a buy-in of $22.00. Each of the satellites and sub-satellites guarantee a minimum number of seats into the next stage. 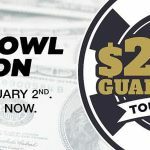 There is also a regular $5.00 buy-in tournament guaranteeing a minimum of three tournament tickets for $109.00 buy-in events. You could enter a $1.00 buy-in Step 3 WSOP Step, win a $5 ticket and use it to enter a tournament with three chances of winning a $109.00 tournament ticket. Then you could play in the $109.00 buy-in WSOP satellite feeding into the WSOP Main Event qualifier. That would mean you only play in three events to reach the WSOP Main Event qualifier with the maximum loss of $1.00. 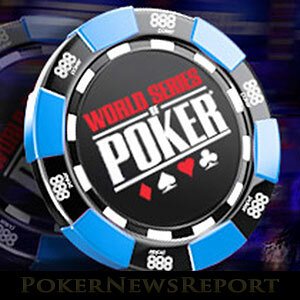 The proximity to the World Series of Poker has set the satellites and sub-satellites alight. Last night´s $22.00 buy-in sub-satellite attracted more than double the number of players it needed to reach its five seat guarantee and ended up awarding eleven players with seats in the $109.00 buy-in qualifier. The $109.00 buy-in qualifier attracted five times as many players than needed to reach its one seat guarantee, and awarded five seats into next Sunday´s $1,050 buy-in WSOP Main Event qualifier. There is only a limited number of WSOP Main Event Qualifiers left to play at 888 Poker, and the competition is only going to get hotter. We recommend taking advantage of the WSOP Steps program and satellites as soon as possible to book your seat in next Sunday´s Main Event qualifier, and hopefully join the forty-one players (including 2014 Main Event winner Martin Jacobsen) who have already secured a package to the 2018 WSOP Main Event at 888 Poker.